3dcart is a fully functional website builder that is extremely easy to use. There are so many eCommerce platforms and website builders on the market that it can be hard to pick the right one for you. 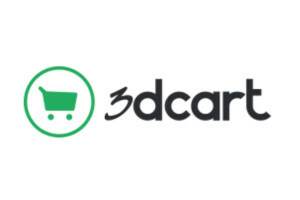 We love 3dcart and so will you! As 3dcart Experts we provide services to help build you a new website, redesign your current 3dcart website or migrate your website from another platform to 3dcart. 3dcart Includes Hosting – You wont have to worry about updates! Offers Unlimited Bandwidth – Great for heavy traffic websites. Unlimited product & Unlimited Categories – This is particularly if you have a large product database. Built-in SEO tools – 3dcart’s built-in SEO tools make it easy for companies like us to manage a websites SEO. It’s so easy that even you can manage SEO (if you are educated on the latest techniques to rank a website)! Built-in Abandoned Cart tool– 3dcart’s abandoned cart tool is guaranteed to help your websites conversion rate. 3dcart is scaleable for growth! Small scale business – no problem! Large scale business – 3dcart offers Enterprise solutions. Notch Solutions can help design your 3dcart website, market your website and provide invaluable support. Launch your website! Your customer will love 3dcart’s website usability! 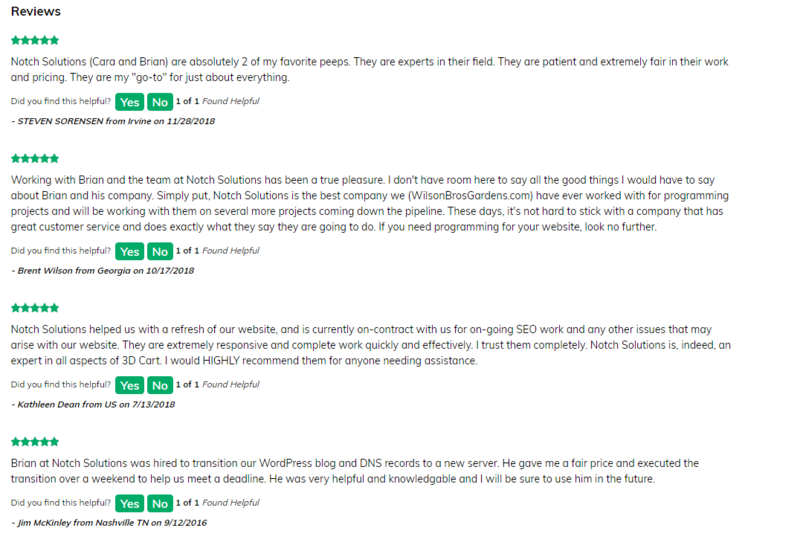 Notch Solutions offers better ideas and better results. We offer 3dcart responsive website design, development and SEO. Other services we offer include: Google Analytics Setup, Google Merchant Setup, Google Serach Console Setup, Software Integrations, 3dcart Webmaster services and exceptional support & maintenance!